MPG-o-Matic 2011 Chevrolet Silverado 2500 HD Review Summary: The 2011 Chevy Silverado 2500 HD is built to haul, in every sense of the word, with an optional 6.6-liter Duramax turbo-diesel V8 engine that delivers endless torque and solid fuel economy. B20 biodiesel compatibility allows the Silverado HD to run domestically produced fuel. While the 2011 Chevrolet Silverado 2500HD’s standard 6.0-liter gas V8 produces 360 horsepower (HP) and 380 foot-pounds of torque, if you have serious hauling needs, you’ll order the optional 6.6-liter Duramax Turbo-Diesel V8 engine and Allison six-speed automatic transmission. The Duramax puts out 397 (HP) and a whopping 765 foot pounds of torque. The Duramax is a clean diesel, designed to run ultra low sulfur diesel fuel (ULSD) and can tolerate a B20 biodiesel blend. A Selective Catalytic Reduction system that uses Diesel Exhaust Fluid helps to reduce Nitrogen Oxide (NOx) emissions by 63 percent over the previous model. Each 5.3 gallon tank of Diesel Exhaust Fluid should provide a range of approximately 5000 miles. The federal government does not publish official fuel economy estimates for heavy-duty pickup trucks. If they did, folks would clearly see the fuel-efficiency advantage offered by diesels over gasoline engines. Unpublished or not, GM states that the new Silverado 2500 HD diesel’s fuel economy has improved 11 percent over last year’s model. We covered over a thousand miles in our 4WD Steel Green Metallic 2500 LT crew cab review unit and were able to achieve an average of 20.9 MPG on the Interstate highway and 16.2 MPG combined, with mixed load conditions. Overall temperatures ranged from the low fifties through eighty degrees. Interstate highway testing temperatures ranged from the sixties through seventies. The test vehicle was delivered with under 5000 miles on the odometer. A 36 gallon fuel tank allows for a generous amount of highway driving range. The Duramax is both fuel-efficient and remarkably powerful, delivering a breathtaking 0-60 MPH sprint and all the passing power you’ll ever need. While there’s an average fuel economy display, the Silverado lacks a real-time MPG gauge. Your ear will have to suffice until you add an aftermarket unit. We decided to take a different approach to highway testing the 2500HD and put it to the task. I took off with no load, in search of some firewood. Five hundred miles or so later, I found it … in Meredith, New Hampshire. We weighed the truck before and after loading it up with firewood. It tipped the town scales at 7800 pounds with yours truly in the cab, and 9220 pounds with a full load of wood. On the return highway run, the Silverado delivered 21.5 miles per gallon, while carrying over 1400 pounds of payload. This bettered the first run by slightly more than one mile per gallon. Whether we chalk it up to coincidence or aerodynamics, it’s just more evidence that diesels get the nod when it comes to fuel efficiency under load. All Silverado 2500HDs are equipped with four wheel anti-lock (ABS) disc brakes and StabiliTrak Electronic Stability Control. Diesel Silverados are equipped with an exhaust brake for better downhill braking. An automatic locking rear differential is standard in the LTZ and optional in the WT and LT. The Silverado 2500 HD is equipped with 17-inch steel wheels on the WT, 17-inch machined-aluminum wheels on the LT, and 18-inch polished forged-aluminum wheels on the LTZ. Our LT test unit was fitted with optional 20-inch forged polished-aluminum wheels and Goodyear LT265/60R20 tires. We’re doing something a little different with our Silverado 2500 HD review. In the first part of the review, we took the truck on the road and put it to work. In this part, we’ll take a look at the interior features, starting with that beefy leather wrapped steering wheel with integrated controls. The dashboard is uncluttered and all business In addition to the average fuel economy display, the Driver’s Information Center provides a trip meter, fuel range, fuel used, transmission temperature, oil and fuel filter life, tire pressure, trailer gain, and engine hour data. Our test vehicle was equipped with the optional power leather front bucket seats, with the driver’s seat featuring six-way adjustment. Manual lumbar support is standard for both the driver and front passenger seats. Heated seats are only available in the LTZ. There are four 12-volt outlets, with two at the base of the dash, one inside the center console, and one at the rear of the console. The USB jack is located inside the center console. The Interior Plus option package includes dual zone climate control, steering wheel audio controls, a center console-mounted USB jack, and Bluetooth. XM Satellite Radio is standard, with three months of trial service. Dual glove boxes and the center console provide plenty of in-cabin storage space. While it’s a climb into the cabin, the Silverado crew cab’s second row seating is positively cavernous with 40.6 inches of rear seat head room and 39.0 inches of rear seat leg room. Side steps are a dealer-installed option. Our test unit was equipped with the optional rear vision camera system and camper-style heated and power-adjustable side mirrors. These two options are quite helpful when backing up. All-in-all, the 6.6-liter Duramax turbo diesel-powered 2011 Chevrolet Silverado 2500 HD delivers a significant jump in fuel efficiency and power while decreasing emissions over previous models. With B20 biodiesel compatibility and a host of in-cabin amenities, this ain’t your Grand Dad’s work truck. Have you done any testing on the 2011 Silverado 2500 HD with the standard 6.0 gas engine? Need to buy a full-size truck for a sustainable “green” business. I will be driving a lot of miles – some stop and go in the city, but quite a bit on the open highway. The dealer is stearing me to a 5.3l Active Fuel Mngmt, because they are being told by customer’s that the new Duramax mpg’s is too low (14-16). Any thoughts? MPG is biggest concern, either will satisfy my towing/hauling needs. have 2011 ltz duaaly duramax 4×4 getting hands a face inner lips eyes getting burn chest also tight if in it for day. stop drive another car for a day or two back to ok??? fuel milage 14 –15?? Thanks for the information. Please keep it up. I’m torn between the 6.0 gas or diesel engine, not hauling much other than fire wood or home construction for now but looking for a sea worthy boat later in life. I also would like this truck to last 10+ years as retirement in the military approaches. Please advise. Looking at the 2500HD gas engine. I haul a 25′ enclosed trailer with two UTVs in it. Maybe 6000# loaded to the max including the trailer weight of 3700#. Will this meet my hauling needs? We often travel to more mountainous roads like northern NM. I have the 2011 duramax lt Z71 package starting out with 200 miles on the odometer my estimatedMpg was18.6 now at 5300 miles we are hovering at 12.8 and going down this never changes with a payload or highway. Any thoughts or issues with this? 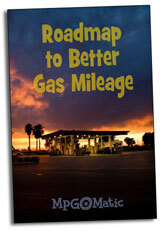 @ Nolen – Are you calculating your mileage from tank fills? How much of your driving is stop-n-go/in-town vs open road highway cruse? I recently purchased a Chevrolet 2500 Silverado crw cab pick up with the diesel. I am planning to get a fifth wheel camper. I just did 2500 miles over two weeks. My driving included a fair amount of local diving. The truck was not hauling much weight. On the highway I ran 75 to 80 with the occasional run up to 90 per my break-in philosophy. Nice truck. 17.5 mpg for the trip. Bought 2011 2500 HD new, got a good deal. Love the truck. Gas mileage isn’t as good as my 1500 with fuel management but I didn’t buy it for good mileage. Rides rough in city but smooth on highway. Has almost every option. Like the down shifting hill holding feature. It’s a real truck. Looking forward to buying truck camper and towing big boat. Very satisfied so far. About 15 mpg on highway with heavy load, but expect a little better after I put more miles on it. I have the 6.0 gas. Satisfied with the power. Some one is lying. I hava a 2011 duramax & it dosnt come close to your #. The tow mileage is a real piece of crap. My 05 does much better. Dont blow smoke. This my third duramax. I Know what Im talking about. @Dean – I don’t doubt you whatsoever, but I prove it with every vehicle that rolls in the driveway… mileage depends on how, when, and where you drive. A little bit of light-footing goes a long way. Highway speeds & throttle position have a direct impact on MPGs. I’ll stand by the numbers I posted and would take the same run all over again. I just bought a 2011 duramax 6.6… It displays avg 13.6. Others record different mpg. as I do. I talked to another guy that had similar mpg after he asked me what I was getting. He said “thank you”. 19 hwy empty, 16.5 around town. Pulling big travel trailer around 9 mpg.